Hey! Its already time for an Artisan Design Team Blog Hop. I love these spring time projects during February. As I sit at my desk and travel the world to see some gorgeous projects, it is easy forget that the wind chill is below zero outside. 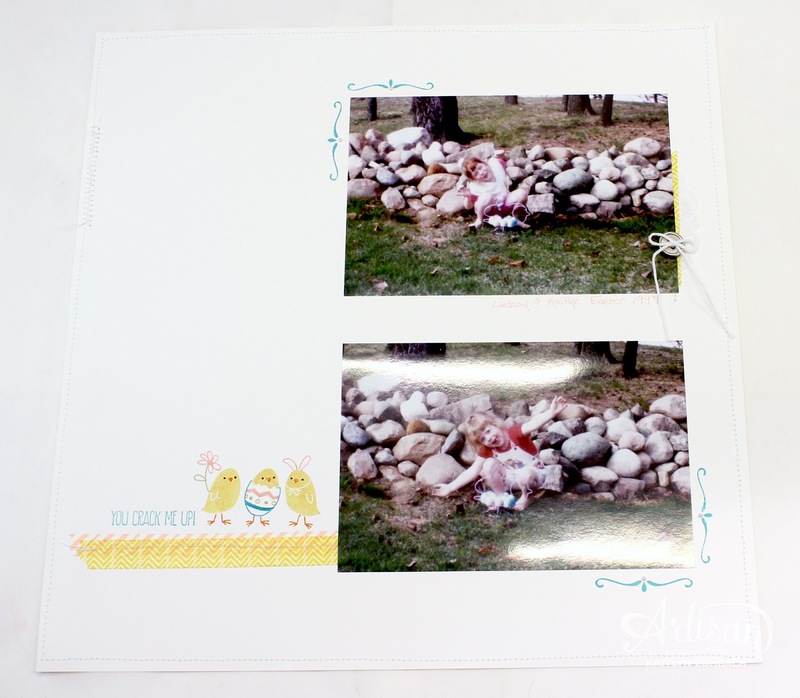 I never really made Easter cards, so I dug through my mom's photo to make a scrapbook page with the super cute For Peep's Sake stamp set. As soon as I came across these pictures of my sister and I, I knew they were perfect to go with the "You crack me up!" sentiment. 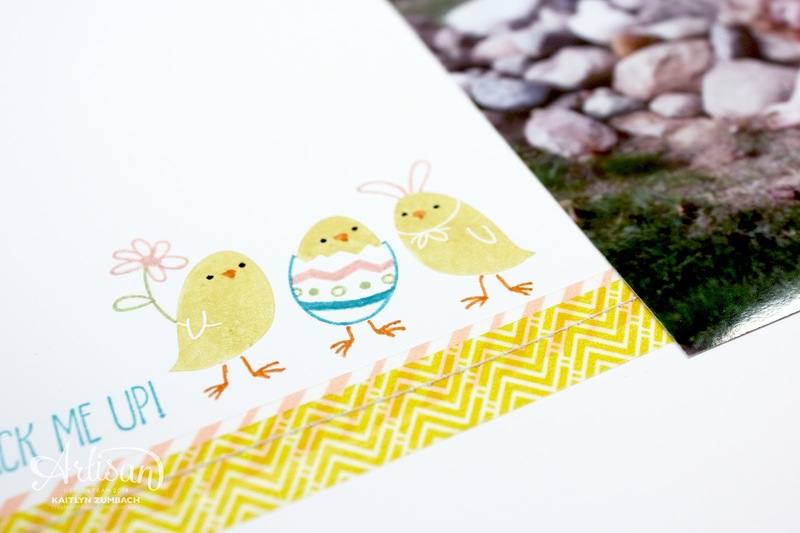 The cute little chicks become even cuter when you color them some Stampin' Write Markers. I kept this page extra simple with just some washi tape and stitching to let the photos and stamped images shine. A few more touches make this page special. 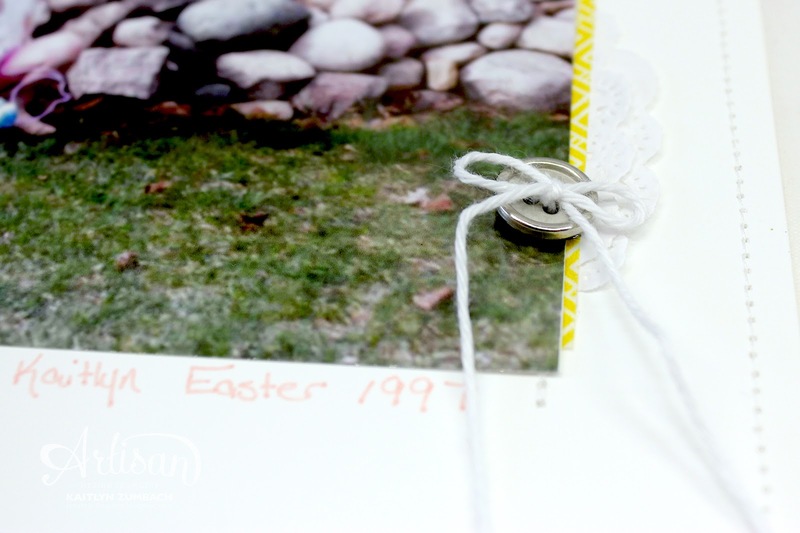 Some pieces from the Artisan Embellishment Kit and stamped frames (from the largest image in the set) enhance the page without overtaking the pictures. This page is super simple but I absolutely love how it turned out. Don't forget to see everyone's awesome work by clicking the next button below. Those Easter chick's are so very cute. Love it. I love a simple scrapbook page! This is to the point...total cuteness! I have never done an Easter layout before! I love the chicks! So cute!